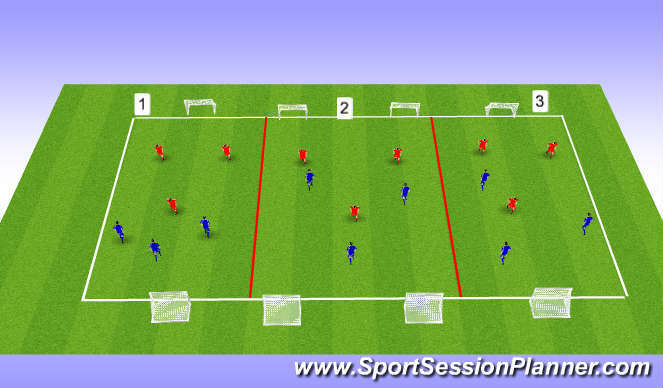 This session will be done by two groups on half a quad each. 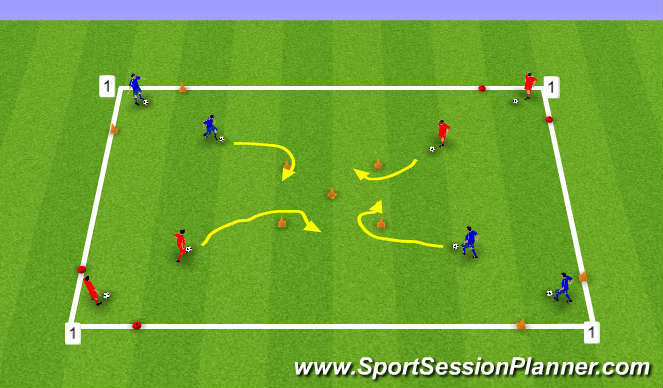 smaller cones can be used does not have to be big orange cones. * teams will play 12 minute game and rotate to next field. Coaches will remain at field so players hear new voice at each field. Coach Everett will rotate from field to field (if possible) to assist coaches. Coaches will be in charge of game and coaching point of change of direction and rules of each game.